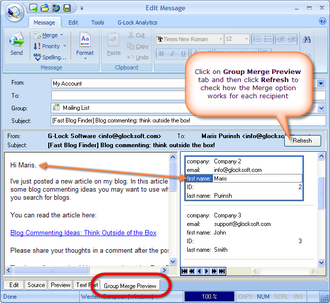 This direct email sender can work with large mailing lists. You can upload a million emails into each internal group. And thanks to its unique capability - connect directly to your CRM database - you can send email newsletters to several millions recipients without export-import. Once you setup a database connection, the program will always read an up-to-date contact list from your CRM database.